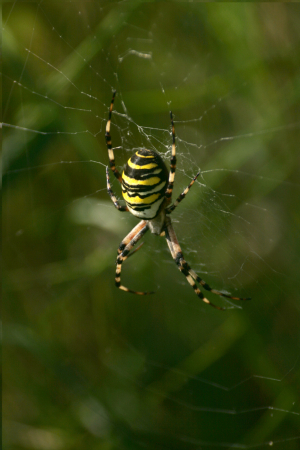 Observation - Female Wasp spider - UK and Ireland. Description: I thought it was about time we had one of these little beauties on the site. Seems to be a lot about this year, at least in Dorset. I thought it was about time we had one of these little beauties on the site. Seems to be a lot about this year, at least in Dorset.